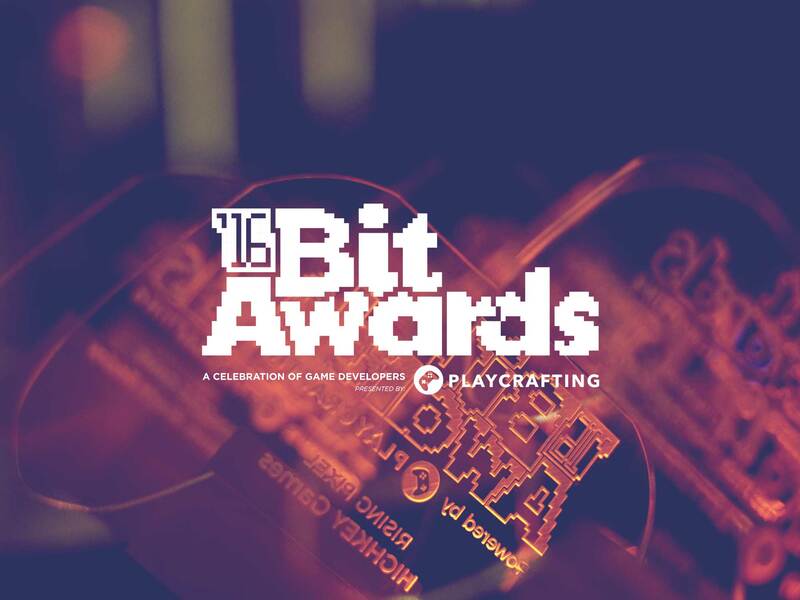 The Bit Awards celebrates a year in games and the people behind them. 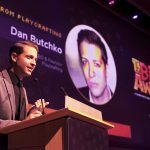 Custom trophies are handed out to Indies on the rise and one Game Changer Honoree who is known worldwide for his or her commitment to games as an art and industry. 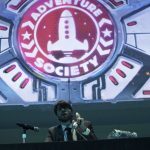 It’s a playable awards production like no other, featuring segments that transform the theater into an interactive game for all attendees and includes live performances and surprises. 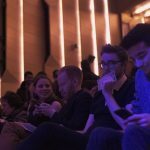 Visit thebitawards.com to learn more about the event. User experience design, as a philosophy, translates well into space design. 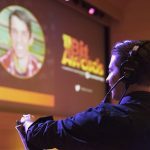 Creating branding and on-stage content was only part of my responsibility in this project. 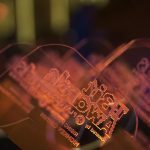 The most challenging aspect was creating an on-site experience that made purchasing tickets, finding seating arrangements, and guiding nominees as seamless as possible. 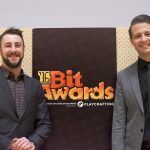 The 2016 Bit Awards was a hit! 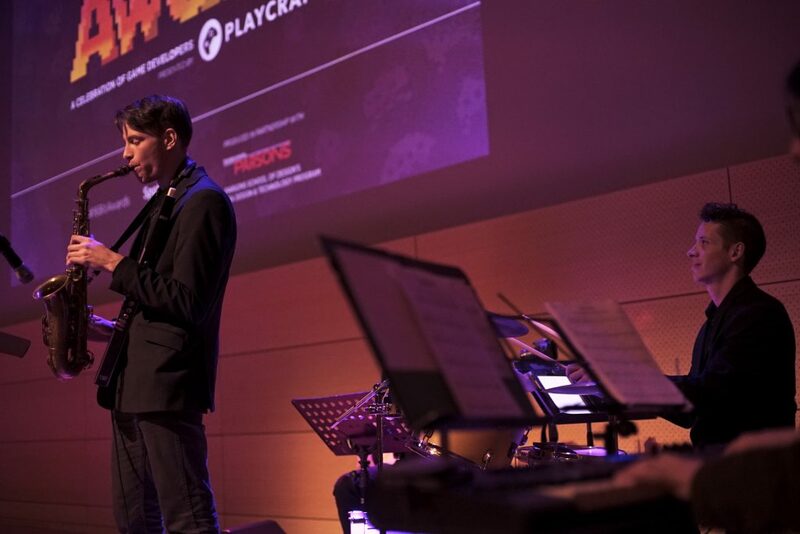 Over 400 members of New York and San Francisco’s growing community of game developers gathered at Parsons to celebrate a year of making games and to honor their talented creators. The evening featured a four-piece jazz band playing popular themes from games we all know and love, plus a special medley of songs from Best Style winner Peter Panic featuring the voice of Peter himself, Remy Germinario! 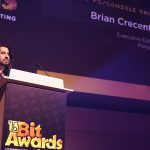 Presenters included a stellar lineup of developers, press and industry professionals. 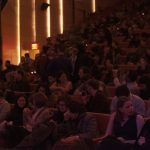 There are many examples of indie awards shows across the industry. 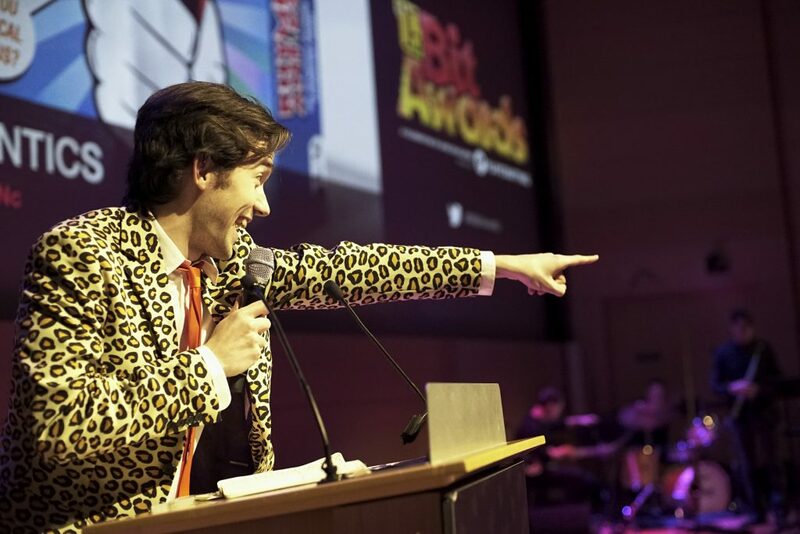 The goal of The Bit Awards was to “jazz up” the status quo by introducing not only a stage and light show but also a live jazz band that featured industry musicians led by the award-winning game soundtrack composer Zack Zinger. 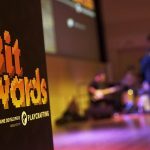 This wonderful musical element, combined with custom designed trophies that were lit by multicolored LED’s and engraved with the Bit Awards Logo. 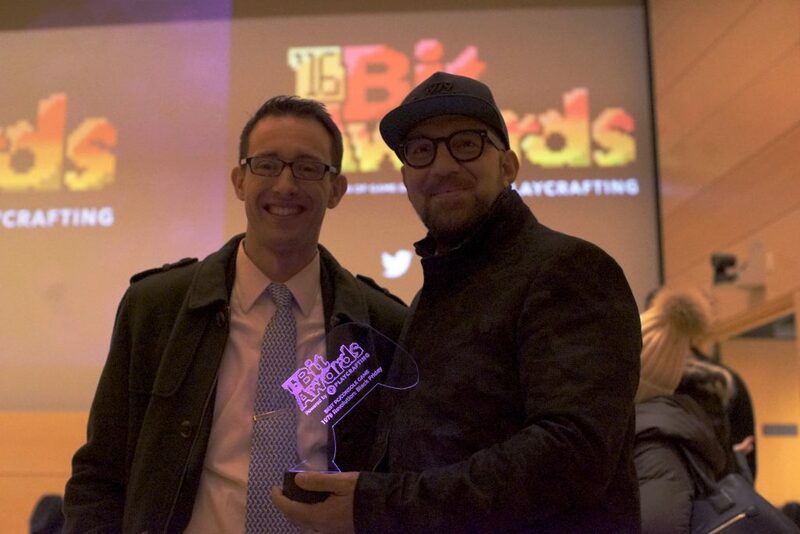 Working on The Bit Awards established a great client relationship with Playcrafting and led to further collaboration with Play NYC 2017. Meeting and mingling with so many talented indie developers allowed me to hear a plethora of interesting stories, from the usual daily struggles of being an indie dev to triumphant tales of being published. This created an even deeper sense of empathy and awareness, which made playing a part in this award show infinitely more rewarding. 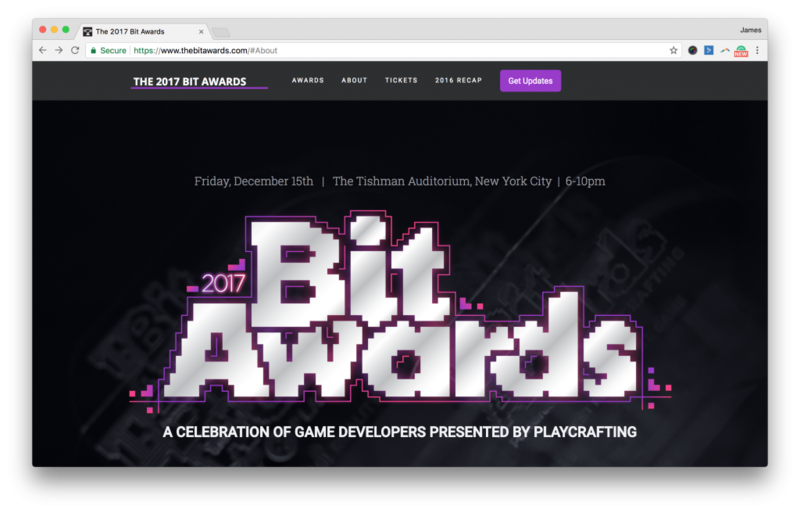 For 2017, the Bit Awards needed a brand facelift, as well as another over-the-top experience for nominees and attendees, alike. Revisiting the logo design, as well as overall branding and creating a standalone website got the ball rolling in the right direction. 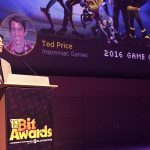 Be sure to visit thebitawards.com to check out The 2017 Bit Awards.